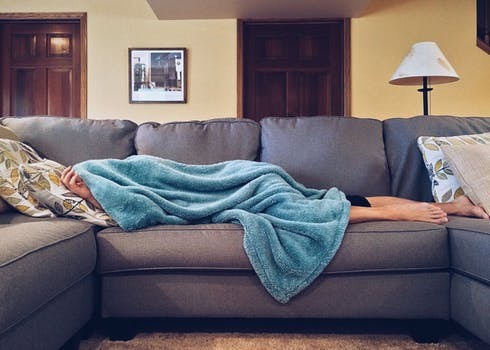 With the reported fall in absenteeism over the last year, businesses in the UK could be forgiven for breathing a sigh of relief but what if absenteeism still has a major effect on your business? Absenteeism is a major disruptor in the UK workplace: it’s a costly business, financially and in the way it affects the morale of the team. Are there ways you could potentially lower your absenteeism rates and improve productivity and general workforce positivity? Consider the following five pointers and how you might be able to put them in place for a happier, healthier work environment. Take a look at your absenteeism stats: is the problem wide-spread or just isolated to one or a few departments/ areas? Once you’ve potentially defined this, you’ll need to try and find the cause. Is it stress related or a physical issue, such as a hazardous environment? Setting up effective and open communication channels is a great way of enabling your staff to talk about their issues and requirements so they can feel a proactive part of the organisation and that their opinion counts. You can do this in a number of ways: through a written or online survey, regular one to ones with a manager or the HR team, or a suggestions box. Always make sure and reassure your team that everything will be done in the strictest confidence. Making your employees feel safe and comfortable to voice their concerns and perhaps suggest solutions is a good way to combat potential absenteeism before it becomes a real problem. In order to set parameters, give staff protection and reassurance, as well as development and training support, it is vital that you put clear, effective HR policies in place, including health and safety, benefits, training and development structures and performance goals and reviews. A strong HR function that guides, supports and helps staff in times of conflict and stress, will help to ensure a focused, motivated and productive workforce. One person’s stress overload point may not even register on another member of the team. The ability to identify those individuals in your workforce more likely to be prone to stress and potential absenteeism, and help them deal with it before the situation gets critical should enable you detect and diffuse problems before they happen. Working closely with managers is key to addressing this, as well as using some of the assessment tools readily available. At Tamar HR we are proud to be KOLBE certified which is a proven method of measuring people’s instinctive strengths and how they compare to others in the team. Most people spend the majority of their time at work. Whilst individuals should take ownership of their own health and wellbeing, encouraging this in the work environment could have a key role in contributing to the health of your employees and as a result the organisation’s too. A simple but consistent wellbeing strategy could have a hard hitting impact on your levels of absence and thus your bottom-line.